We have had a busy time over the past twelve months. 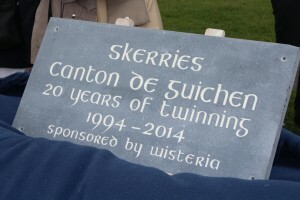 Our big undertaking in 2014 was the celebration of the twentieth anniversary of the Twinning Ceremony in Skerries in 1994. The festivities took place in August and we welcomed 41 visitors from the Canton of Guichen for a four-day visit. The emphasis was on our common Celtic Heritage and we tried to include a range of activities for them, including workshops in set-dancing, celtic embroidery and traditional music. We had a lovely tour of Ardgillan Castle and Gardens and a guided walking tour of the town. One of the fun items was a boules contest. To commemorate our original twinning events in 1994, we unveiled a plaque on Red Island to mark the anniversary. A day long trip to Kilkenny city gave them a taste of another heritage town. Alongside these events, we ran a separate programme of sports and cultural activities for the twelve children who were among the group. It was an exhausting, but very enjoyable few days and we are most grateful to the many individuals and groups who lent their cooperation for the event. Earlier in the Spring 2014 we had organised an exchange of photographers. 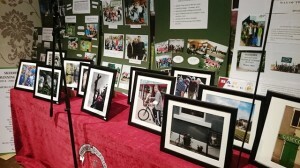 Three Skerries photographers visited the Canton of Guichen and in return, two photographers from Guichen came to Skerries. This led to a wonderful body of work entitled ‘Through Each Other’s Eyes,’ which we had the pleasure of exhibiting in Skerries Mills. We had two projects this summer – a return trip to the Canton in July and our participation in an international youth camp held in Laillé in July. 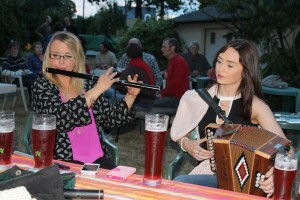 We had almost 40 participants in the July trip, including a group of traditional musicians from Rush. 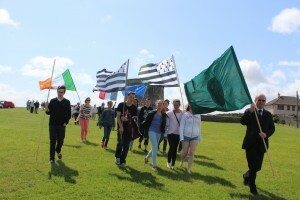 Apart from this, six teenage pupils from Skerries Community College travelled to France for a three-week camp, also in July. Their project was to construct a shelter in the public skateboard playground in Laillé, one of the main towns in the Canton of Guichen. They worked with six local teenagers, sharing the work, meals and leisure time activities with their French counterparts. A good time was had by all. 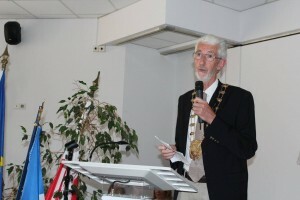 David O’Connor, the Mayor of Fingal, in Guichen. We’re always ready to welcome new initiatives. We have had approaches from the local badminton club in Laillé with a view to organising a visit to Skerries, so we will start to work on this soon. If you have any ideas for joint projects with the Canton of Guichen, why not get in touch with us and we’ll see how we can progress them?